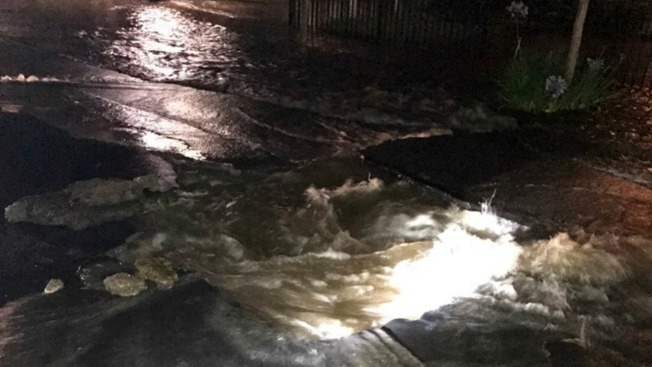 Police and firefighters secured a water main break that flooded a roadway in Napa late Sunday night, police said. According to police, the water main break occurred in the 2500 block of Laurel Street. The break created a large hole in the ground with water flooding onto the roadway, police said. Crews managed to secure the water main break before any property was damaged, police said. Laurel Street between Freeway Drive and Avon Avenue will be closed for part of the morning as the road is repaired, police said.